We have run the Polar Expedition Training every season since 2014, all were a great success. 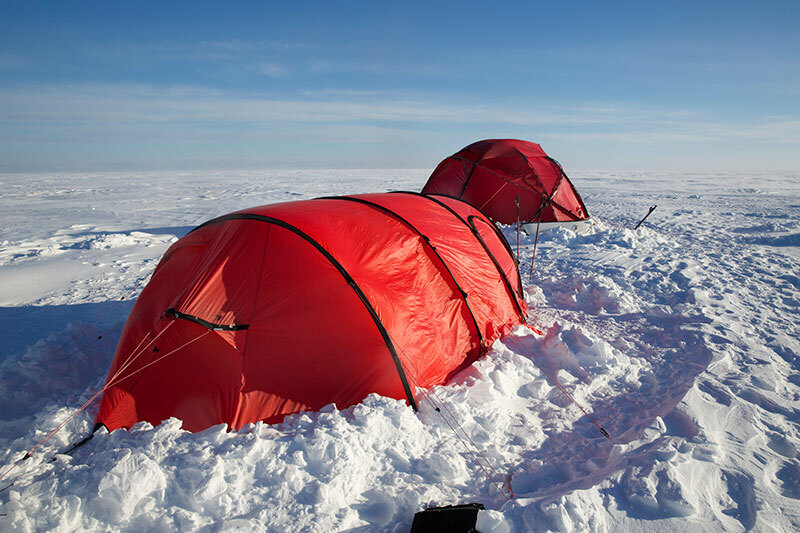 Many of our participants have gone on to complete expeditions in Polar environments including successful ski trips to the South Pole and Last Degree Expeditions. Contact us for information regarding the training course which will be held each winter season. 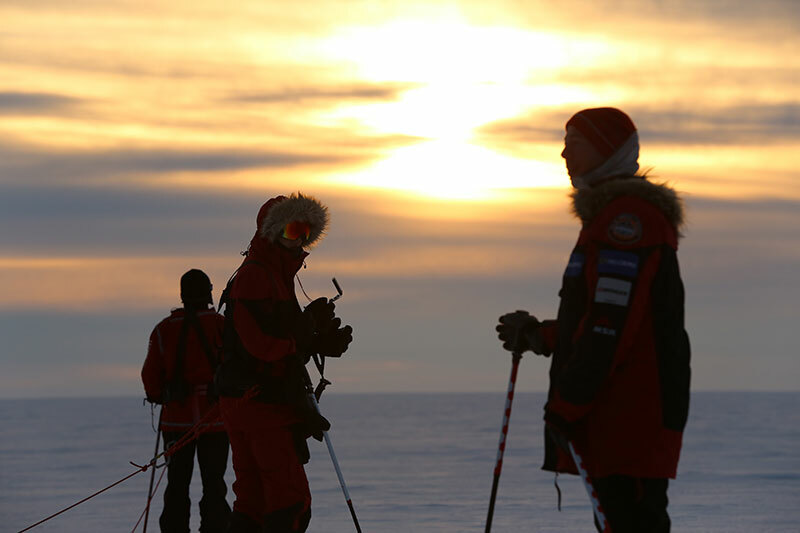 Want to learn more about our Polar Expedition Training, the most thorough program in the world? Contact us today and we will give you all the info you need. Join Mountain Professionals Polar Adventurer and Expedition Guide Eric Larsen for a week-long immersion into the world of winter travel and polar expeditions. Learn valuable skills and techniques that will allow you to travel comfortably, safely and efficiently in cold and snow. Special emphasis is placed on learning the necessary skills and systems required with planning your own winter adventure, whether it is just a weekend excursion or an expedition to one of the poles. Based out of a remote cabin, this course is designed to teach the skills associated with modern-day polar travel while completing a ‘mini’ expedition. 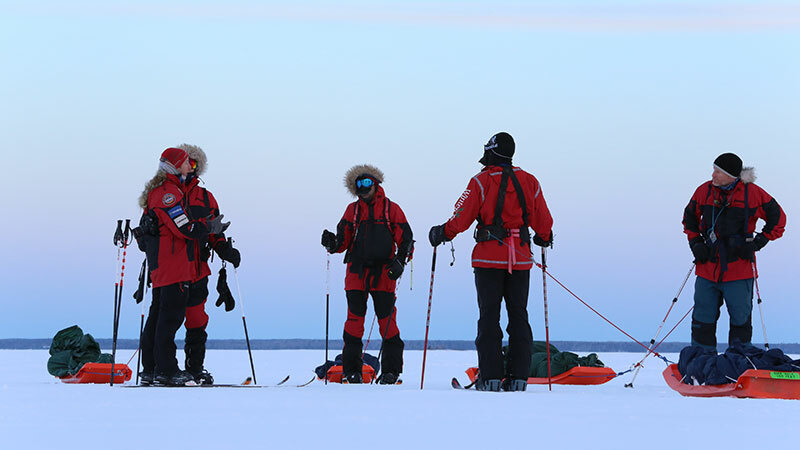 After spending the first three days alternating between indoor instruction and outdoor practicals, students will embark on a four-day traverse of realistic polar conditions. With temperatures well below zero and conditions nearly identical to the poles, this adventure will provide a challenging, yet safe, opportunity to experience the many facets of expedition life. Polar Travel Philosophy, Fitness and Training, Logistics, Navigation, Daily routines and Travel Techniques, Clothing, Equipment, Communications, Safety and First Aid, Polar Bears and Wildlife, Electronic logistics, navigation, expedition nutrition and menu planning, food preparation, safety and first aid, managing electronics, crisis management and fundraising. Upon completion of the course, participants will receive a certificate of completion (to be used as reference) as well as a 3-5 minute video recap and portfolio of professional quality images. Polar adventurer, expedition guide, dog musher and educator, Eric Larsen has spent the past 15 years of his life traveling in some of the most remote and wild places left on earth. 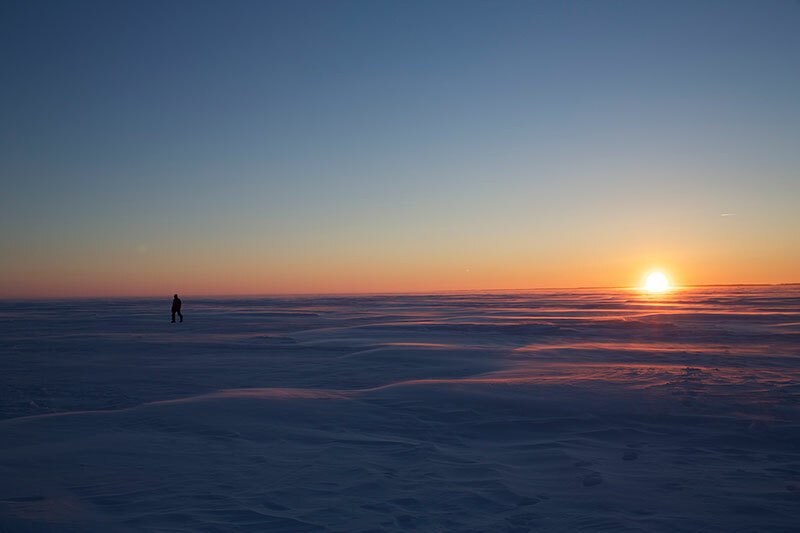 In 2006, Eric completed the first ever summer expedition to the North Pole. In 2010, he completed a world-record expedition to the South Pole, North Pole and top of Mt. Everest all within a 365-day period. He is one of the premiere polar guides on the planet and has successfully led more full-length polar expeditions than any other American in history. In 2010, Ryan Waters and Cecilie Skog completed a 1,117 mile/1,800 kilometer Antarctic ski expedition over 70 days from Berkner Island in the Ronne/Filchner Sea to the South Pole, continuing to the Ross Sea to complete the first ski traverse of Antarctica without resupplies or the use of kites. He and Eric Larsen skied unsupported to the North Pole in Spring 2014, completing the journey in 53 days, making Ryan the first American to complete the Adventurers Grand Slam with unsupported full ski trips to both poles. He is the first American to ski unsupported full length trips to both poles and has also guided a 44 day full trip to the South Pole via the Messner/Fuchs route. Day 1. Arrive at Winnipeg International Airport and check in to the Hilton Hotel. Day 2. Morning meet at Hotel. Gear check and review. Transfer to Cabin near. Evening presentation: Melting; Last Race to the Pole. Day 3. Cabin. Finalize food packing (if necessary). Items to be covered: polar travel, philosophy, history, geography, logistics, daily routines, travel techniques and navigation. Evening Presentation: First Summer Expedition to the North Pole. Day 4. Cabin. Items to be covered: food, nutrition and food preparation as well as general expedition training and preparation. Expedition Food Pack. Evening Presentation: Dog Sledding. Day 5. Cabin – Depart . Items to be covered: Equipment overview and repair with a focus on first aid and safety, communications, and polar bears, expedition electronics, fundraising. Days 6 – 7. Expedition Travel Days. Day 8. Expedition Travel Day. Return to cabin by noon. Drive team to hotel back in Winnipeg. Accommodations after leaving Winnipeg on trip in tents and in small lodge. Personal specialized gear – skis, binding, sleds, pulling harness, pulks. All meals according to the program after leaving hotel. International Airfare to and from trip start. Food, beverages, while in hotel in Winnipeg. Lodging costs in hotel on February 12th and 21st in Winnipeg. Cancellation, Medical, and travel insurance.